When in Hong Kong, there are some things that are an absolute must as far as checking off your to-do list. Here, you'll find a mix of the essentials and must-see sights as well as some of the more off the beaten track things to do. See the skyline: If you see only one thing, see this. With more skyscrapers than any other city in the world and most of them packed into just a few square miles, the view is spectacular. Eat dim sum: Many of Hong Kong’s best experiences involve stuffing yourself, but ​dim sum not only involves digging into delicious bite-sized food but also the experience of marking your card, sharing your food and totting up the bill. Shop at Temple Street night market: Hong Kong is still a town obsessed with shopping and at its heart, it’s a city that loves its markets. 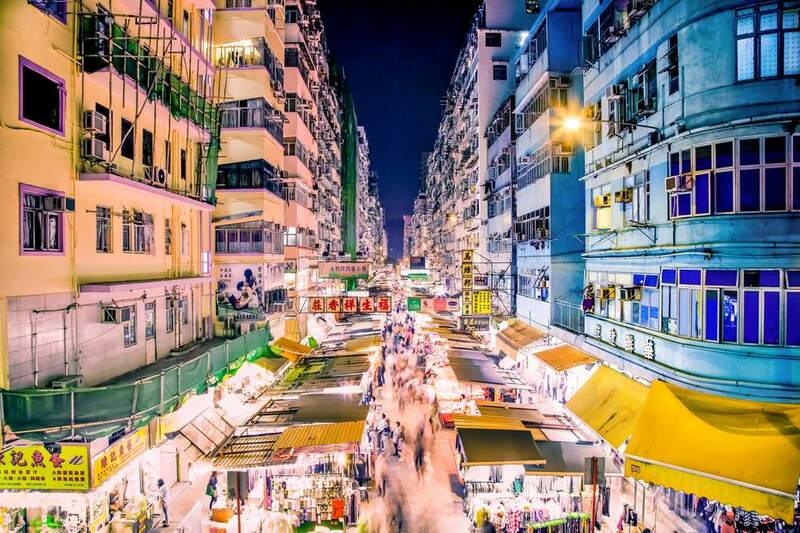 Packed with, well everything, from tourist tat to palm readers, bartering is part of the experience at Temple Street night market and one only enhanced by the late night setting. Ride the Star Ferry: Possibly the quintessential Hong Kong experience, the Star Ferry is more than 100 years old and its classic ferries still swim the route between Tsim Sha Tsui and Central. Running every few minutes the ferries offer superb views of the skyline. Eat at Tim Ho Wan: There are a thousand fantastic places to eat in Hong Kong but a Michelin starred restaurant, where you can get hold of a whole meal for less than $5, deserves a visit. Just watch out for the queues. Eat at a Dai Pai Dong: Hong Kong’s dying art of street food struggles on despite heavy-handed government regulation. This is al fresco dining at its best and absolutely should be experienced. Eat at a buffet: Hong Kongers love a buffet and over the years the competition has seen them get bigger and better. Stop in at the Island Shangri La where they go in with a little bit of showmanship in the open floor kitchen. Don’t eat shark fin soup: Bad for the environment and with little taste to speak of, you can absolutely give shark fin soup a miss without a second thought. Looking for something equally adventurous? Sink your teeth into some abalone. Tea at the Peninsula: Once the preserve of colonels, captains of industry and governors the cucumber sandwiches and scones still attract a well-heeled crowd and has lost none of its traditions. Cheap tech at Wan Chai computer center: Amidst the tangle of cables at this makeshift computer market you’ll find cut-price tablets, knock-off mobile phones and second-hand laptops. Camera shopping on Stanley Street: Hong Kong remains a good place to pick up a bargain on a high-end camera. Many camera experts swear by the experts in the stores on Stanley Street. Hong Kong style at Liger in Causeway Bay: If you’re looking for some local style, look no further than Liger. Founded by local fashionista Hillary Tsui this exclusive boutique is always on the front foot of Hong Kong fashion. Pick up some souvenirs at the Ladies Market: Don’t let the claim that the Ladies Market in Mongkok is aimed at tourists put you off. Cheap chopsticks, chess sets and cheongsams and all the souvenirs you’ll ever want. Get fitted at a Hong Kong tailor: This is a city that likes to look sharp and the city’s family run tailors have a worldwide reputation for excellent quality and good value. The Peak: For some, this is Hong Kong’s best attraction and certainly the biggest in terms of visitor numbers. Sat in the center of Hong Kong Island the Peak offers fantastic views onto the skyscrapers and on clear days to China beyond. Ocean Park: Hong Kong’s homegrown theme park offers a winning mix of thrill rides and deep sea creatures to look at with the aquarium and jellyfish exhibition just two of several world-class attractions. Hong Kong Heritage Museum: Most of the museums in Hong Kong are not much to write home about, but the Hong Kong Heritage Museum gives a snappy overview of the city's short but busy past. Happy Valley: Undoubtedly the most exciting night out in town, the cacophonous Happy Valley racecourse offers one of the most electric settings in the world as thousands of punters urge on their favorite filly amidst a backdrop of skyscrapers and jugs of beer. What Places Should You See During a Visit to Hong Kong?